Need help with launching a new product at Mobile World Congress?  Marketing For Tech is a technology marketing firm which specializes in helping companies with their marketing strategy & execution. Our "MWC Starter Package" is ideal for technology companies looking to get product marketing help and grow internationally. We’ll take a look at the characteristics of the new product, define and analyze your target audience(s), and narrow in on your competitive differentiators. Based on this analysis, we'll write the content that will be used in the new product microsite. We will put together a press release and develop a press kit to support the announcement of your product. 3. Targeted media and blogger outreach. We'll reach out to targeted international media, bloggers and influencers to get your company noticed and provide maximum exposure to your brand. 4. Pre-event & post-event email marketing. We'll create content for two emails that you can use to send to your email database and/or for your sales team to use to invite and follow-up with potential customers. We will put together the content of a presentation you can use when meeting with potential customers at the event. Complete the form to contact us.